You have images in your collection with unwanted text and stamps, and removing text from photo sounds like mission impossible to you. Now you don't have to be sad any more! There is a solution out there. In this article, we are going to discuss one of the best image conversion utilities, with the help of which you can remove text from images with ease. We hope you will not be disappointed! It is a well-known fact that text in images can be a sheer nuisance. Nobody really wants any useless elements to spoil a landscape, panorama or your loved one's portrait. If you want to remember the name of your picture or the shooting date, you can write it down on a piece of paper and keep it separately or include in the file name. This information must be kept safe and secure, but not right on the image! So far, this was thought to be barely feasible. 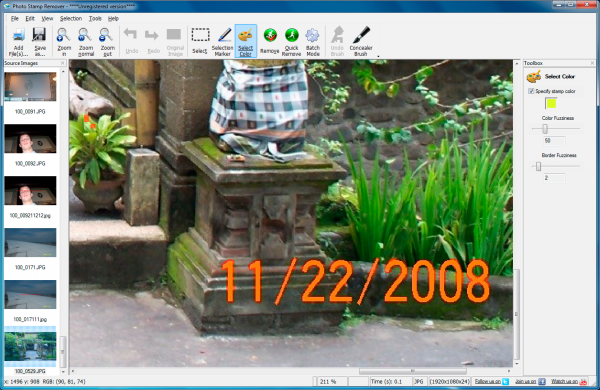 Even though programs intended for removing text from pictures have been around for quite a while, finding a really good one has long been a challenge. Indeed, very few utilities give perfect results with all unwanted symbols removed without the slightest detriment to image quality. If you've spent long months looking for such a tool, SoftOrbits Photo Stamp Remover is the one. 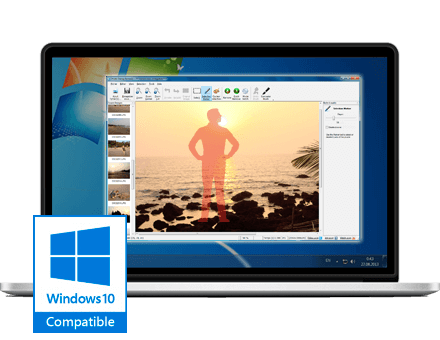 You wonder why SoftOrbits Photo Stamp Remover is the most effective utility you've ever used? The highly intuitive interface and exceptional image quality on the output at a price way below average prove that! This article describes the advantages of the program and arranges them in orderly pigeonholes. It takes but a few simple steps to do the job. 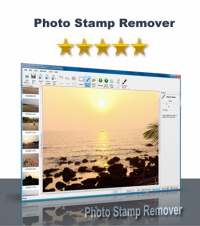 Launch Photo Stamp Remover and select photo using Add File button. Zoom in on the part of the image with text and mark it. To do that, click Select Color in the toolbar, right-click and drag-and-drop it over the area. Also, you can apply Selection Marker, which uses a different style of marking. Click the Remove button. You will not see the text there any more. If you do not want to rely on the description alone, you can download and check the free demo version, which is available on our official website. If you like it, you can purchase the registration key using your most preferred payment method.